I'm currently on a Eurostar that's stationary somewhere in Kent... No announcements, no staff to be seen, but excellent 4G signal strength! And I'd quite like to know how late we're likely to be, some I can let people meeting me know. 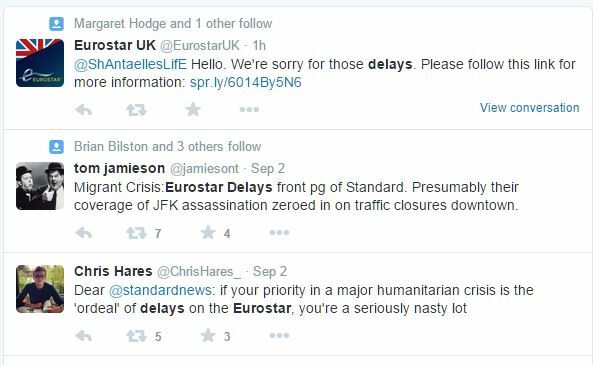 Is there a website somewhere I can use to lookup live Eurostar / Eurotunnel delay / timing information? 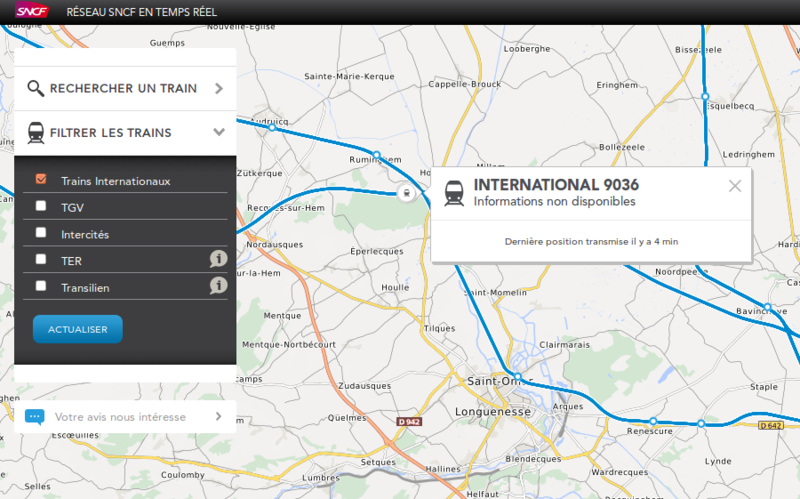 I'm not aware of any similar realtime train-stalking systems for Belgium, nor for in the Channel Tunnel itself. For those situations, you can try asking the staff in the Buffet (coaches 6 and 13), who can look things up if they're not too busy. 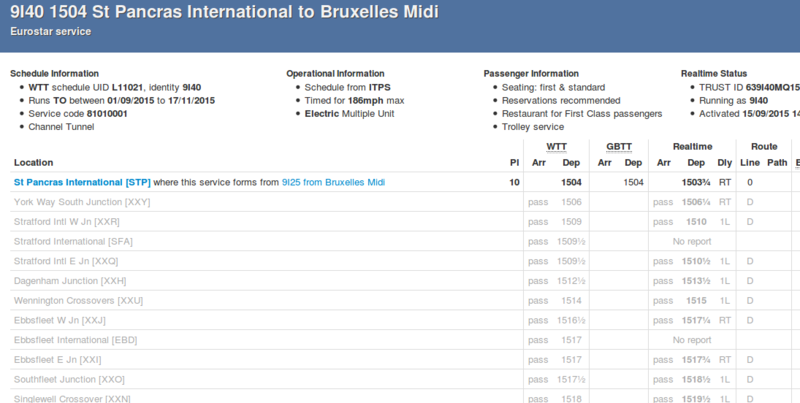 And for additional information, the Eurostar's site for Disruption Compensation has details about how to make a claim. Not the answer you're looking for? 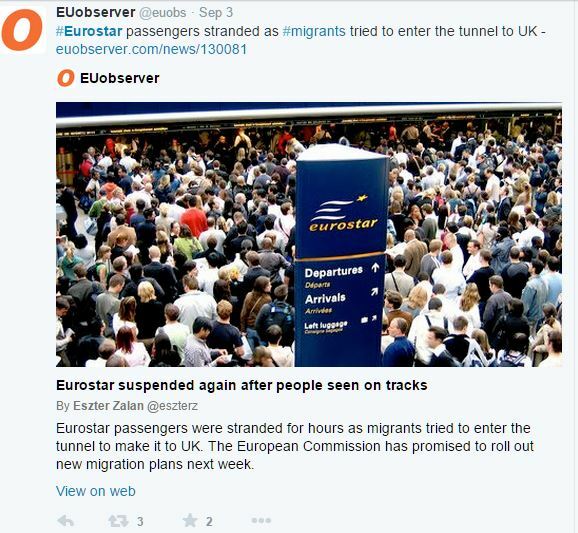 Browse other questions tagged uk trains online-resources high-speed-rail delays or ask your own question. Is there a way to find out specifically why a flight was delayed?